Sorry for the delay, but we’re almost to the Top 3. 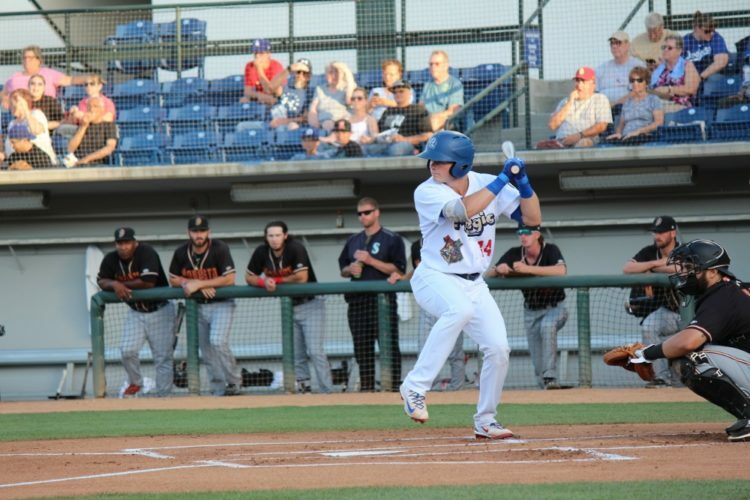 This next prospect made perhaps the most impressive leap of any prospect in the Dodgers’ system last season. Summary: The 2016 Dodgers’ draft is shaping up to be one of the best in the organization’s recent history. Lux was considered a bit of a safe pick back then, but he has gone on to do no wrong in his pro career. He capped off the best season of his career in 2018 by getting a promotion to Double-A and continuing to hit well there. It earned him the org’s Branch Rickey Minor League Player of the Year award. 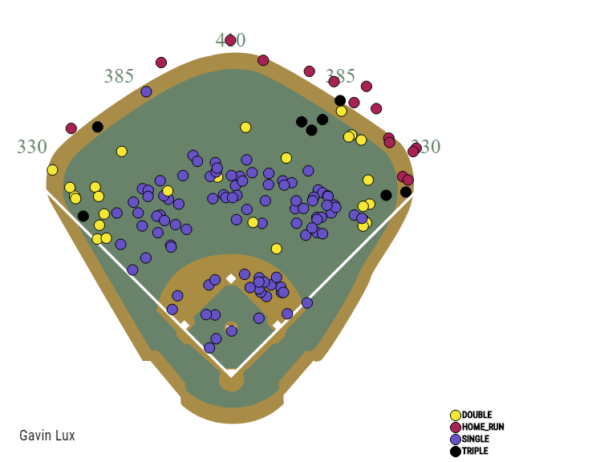 Lux was originally thought to be a defense-first shortstop, but his profile has shifted to a more offensive-minded middle infielder. He uses a level swing path and above-average bat speed to generate lots of line drives. He’s working on elevating, and it actually resulted in a career-best 15 home runs last season between High-A and Double-A. He has a good amount of raw power, but it remains to be seen if he gets to it in-game. And don’t expect many opposite-field dingers from him. 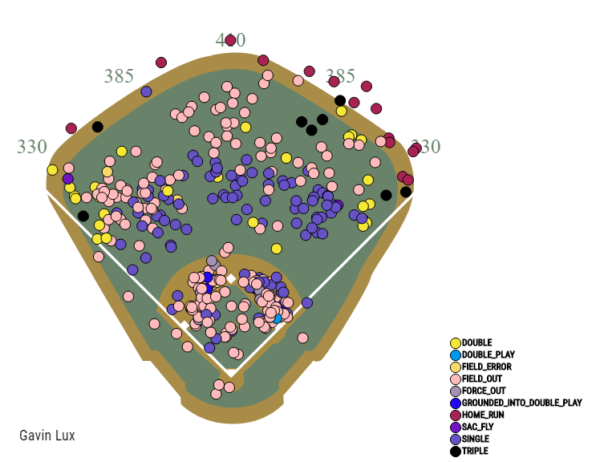 Lux displays above-average plate discipline and pitch recognition, which should help him if he has trouble making contact at the higher levels. But his short stint in Double-A last year (and his start this season) showed (shows) that he might not have that much trouble doing so. The biggest question mark with Lux going forward is his defense. He gets sloppy with his footwork and his arm isn’t the strongest for shortstop. That’s not a great combination if he wishes to stick at the position. He has plenty of range and good hands, but if he can’t make accurate, strong throws, a move to second base might be in order. If that’s happens, it’d put a little more pressure on his bat, but not that much. As a runner, he’s plus. 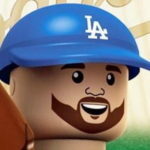 It may not lead to more than 20-odd stolen bases in a season, but he could be an asset on the base paths with his legs. If he figures out his throwing woes, he could be a first-division shortstop because of his advanced bat and developing power. If he has to move to second base, he could have a Chase Utley-like career, with less power. He began the season back with Double-A Tulsa, but should see Triple-A Oklahoma City at some point. He could be the Dodgers’ future starting shortstop or second baseman, and sooner than some may think.